Published October 23, 2014 | By IGotIt! What little girl doesn’t want a princess costume? 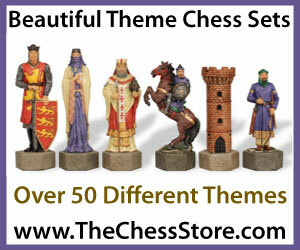 Even the tom-boys seem to like to play princess every once in awhile! 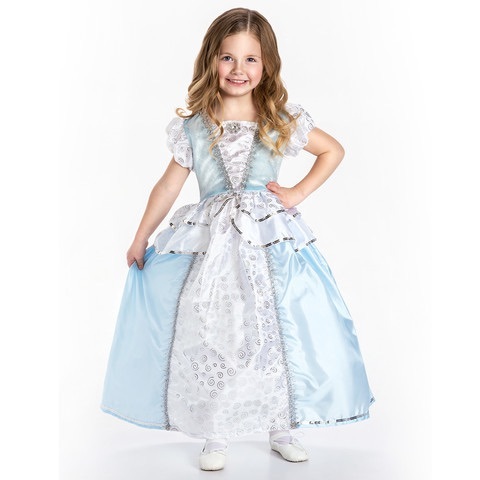 A beautiful selection of princess costumes for your little darling await you at My Pretend Place, where you can not only find a variety of styles and colors of princess costume dresses, but where you can also get a selection of accessories for all your little ones. Girls love to dress up like a princess, no matter what time of year, and they make great fun for birthday parties and holidays. This is such a lovely opportunity for little girls to learn etiquette and be feminine as they learn to grow up into the women, mothers and wives they’ll become. Being feminine doesn’t mean prissy or spoiled, and when little girls pretend being little ladies, it helps them when they’re older to be more confident whether they become wives and mothers or career driven business owners, authors or astronauts. 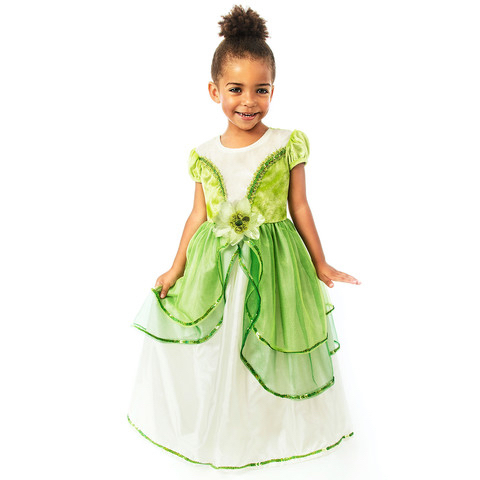 These adorable princess costume dresses are some of the prettiest ones we’ve found, your little girl is sure to want to wear them every day and they pair nicely with the Fairy Costumes to make her feel special. 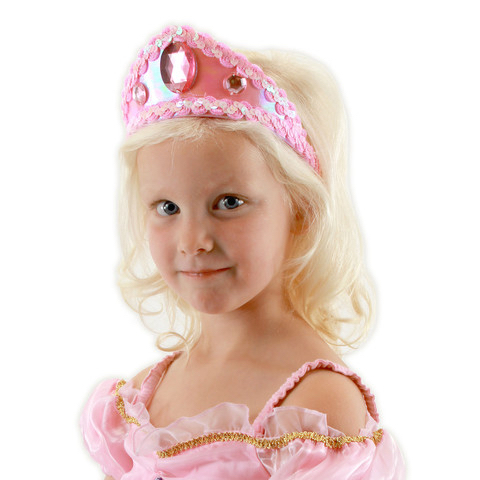 Add loveliness to your little girl’s playtime while she pretends she’s a princess in these darling costume dresses. 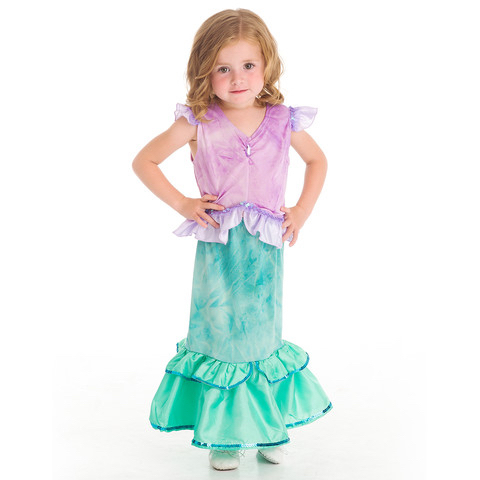 The princess costume collection includes favorites such as Lily Pad, Cinderella, Snow White, Rapunzel, the Little Mermaid, and Sleeping Beauty, while adding a few more to the collection. 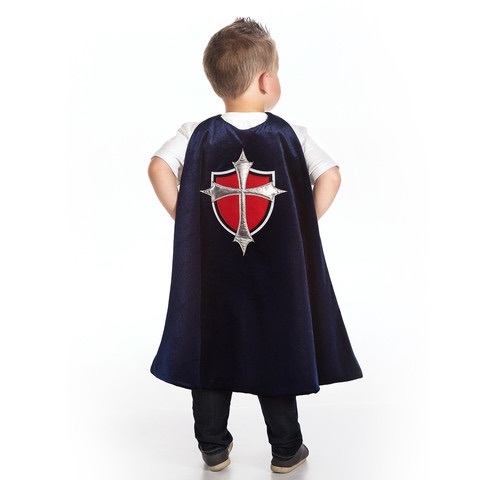 And don’t leave your little boy out of the picture – there are knight and prince costumes for him there as well like the Superhero Prince Cape and accessories, so that he can come and save the day! 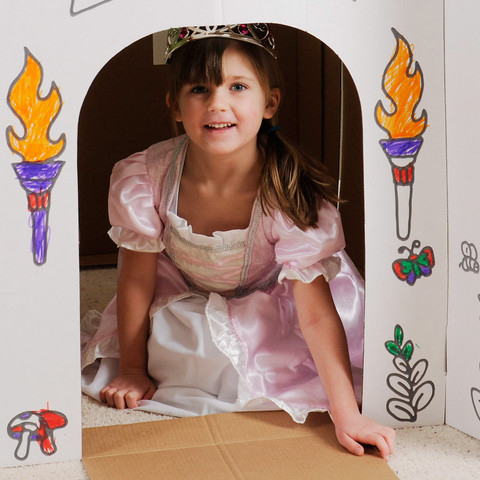 And no princess costume is complete without accessories like the pink tiara shown below – or cone hats, carriage playhouse, castle playhouse, crowns and lots more! *Does not include shown Cardboard Castle Playhouse. 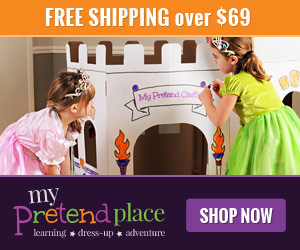 Get your little princess a high quality costume from My Pretend Place today and watch her eyes light up!